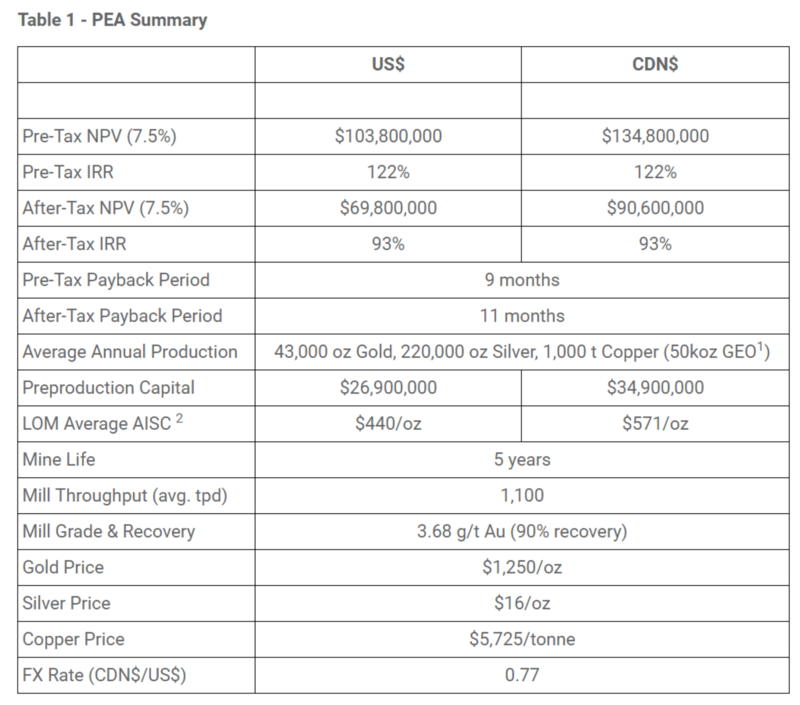 Minera Alamos Inc. [TSXV: MAI] is pleased to announce the positive results of an independent Preliminary Economic Assessment for its La Fortuna Project in Durango, Mexico. The PEA was prepared in accordance with National Instrument 43-101 Standards of Disclosure for Mineral Projects by CSA Global Geosciences Canada Ltd of Toronto, Canada. (Note to reader: Unless stated all currency references are in US dollars). 5-year mine life based on initial resource “starter pit” with 2.0 Mt of mineralization (3.68 g/t Au, 20 g/t Ag, 0.27% Cu) processed at 1,100 tpd average processing rate. Payback period of 11 months. Current PEA completed on project “starter pit” resource only, a single zone of drilled mineralization that appears to remain open geologically. For complete report and table click here.